St. George's Hall, photograph by Dave Root, Liverpool, England, 2007. 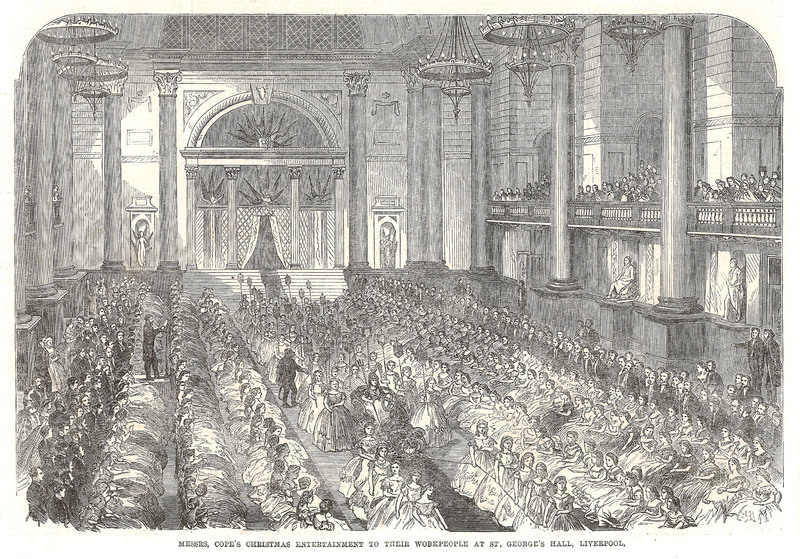 In 1854, St. George's Hall opened in Liverpool as a venue for festivals, meetings and concerts. The 1864 Southern Bazaar was held at this site to raise funds for Confederate prisoners of war. In 1864 the Confederate war effort began to falter, but across the Atlantic, Confederate supporters in Abercromby Square were still hard at work. While the shipbuilding activities of James Bulloch slowed following the controversies surrounding the CSS Alabama and CSS Alexandra, blockade running efforts continued as merchants looked to bolster southern finances and increase personal profits. Alongside these covert efforts, Charles Prioleau and his associates also looked to sway the British public and garner emotional and financial support for the Confederate cause. In 1864, he helped organize one of the most overt and successful fundraising events for the Confederacy, the Southern Bazaar for Injured Confederate Soldiers, held at St. George's Hall in Liverpool. Less than a mile from Abercromby Square, St. George’s Hall opened in 1854 as a venue for festivals, meetings, and concerts. The building's grand architecture is a testament to the wealth that flowed into Liverpool in the nineteenth century, and it served as an impressive setting for a Confederate fundraiser. As treasurer of the Committee for Relief of Southern Prisoners, Prioleau played a vital role in organizing the Bazaar. James Spence, another Abercromby Square occupant, served as the event's honorary secretary. They used their social and political connections to attract many prominent local figures and business associates to the event. The wives of Southern Club members played a prominent role in the Bazaar’s organization. Among them were Mary Prioleau, wife of Charles, and the spouses of James Spence and James Bulloch. Their efforts to organize the Bazaar impressed the local papers, with the Liverpool Mercury noting that southern sympathizers in England were "beyond all manner of doubt enterprising, energetic and liberal." However, Mary Prioleau's private correspondence suggests that operations were not as smooth behind the scenes. In one letter to her husband she noted dissatisfaction with the women involved, stating, "I hope I shall have strength enough to hold my tongue whatever happens." Interior of St. George's Hall, illustration by John Wallace, Illustrated London News, 1864. 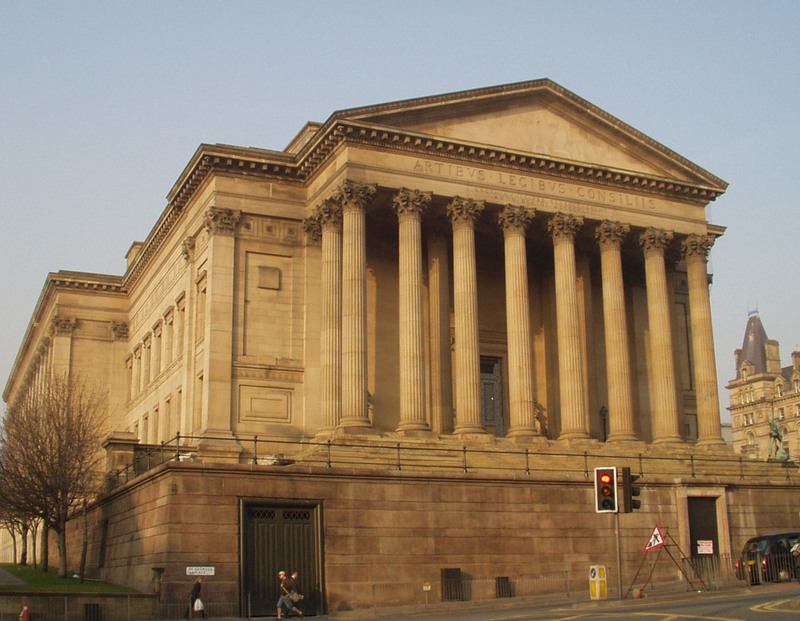 Built in 1854, St. George's Hall was used for many elite social gatherings in Liverpool. The four-day Southern Bazaar held here in 1864 offered a wide variety of entertainment that highlighted the culture of the American South. The Southern Bazaar ran for four days and offered a wide variety of entertainment that lauded the culture of the American South. Each Confederate state had a stall, raising funds through auctions and raffles. One noted performer at the event was pianist Master Willie Pape from Alabama. A musical prodigy, the fourteen year-old Pape had toured both America and Britain to great acclaim. Liverpool's Southern Bazaar received national attention, with the London Standard declaring it “one of the most magnificent Bazaars ever held in the North of England.” Thousands of visitors attended the Bazaar from all over the country, including five thousand on the final day. Britain's positive response to the 1864 Southern Bazaar in Liverpool did not necessarily reflect widespread support for the Confederate cause. The Bazaar's goal of raising money for wounded southern soldiers arguably appealed more to a sense of altruism than to partisanship. Advertisements for the Bazaar stressed this humanitarian aspect, highlighting the suffering of southern prisoners. These emotive calls to support southern widows and orphans sidestepped the controversial issue of Confederate support for slavery. Even so, numerous raffles gave out provocative prizes, such as replicas of the CSS Alabama and portraits of southern generals. Nevertheless, the Bazaar caused controversy even after its close. Having raised a reported £20,000, Prioleau and Spence had to find a way to get the money across the Atlantic. Given the humanitarian intent, Prioleau looked to take the diplomatic route. British aristocrat Lord Wharncliffe, whose wife ran the South Carolina stall alongside Mary Prioleau at the Bazaar, made a request to the Union Minister, Charles Adams, to allow a southern agent to transfer the money to Confederate prisoners. The Union responded with a stinging public rejection from Secretary of State William Seward, who claimed southern prisoners were not deprived and accused Britain of war profiteering. Prioleau and Spence eventually succeeded in getting the money to the southern prisoners, but only by sending it to New York after the war’s end.